FELLOWS, Charles. 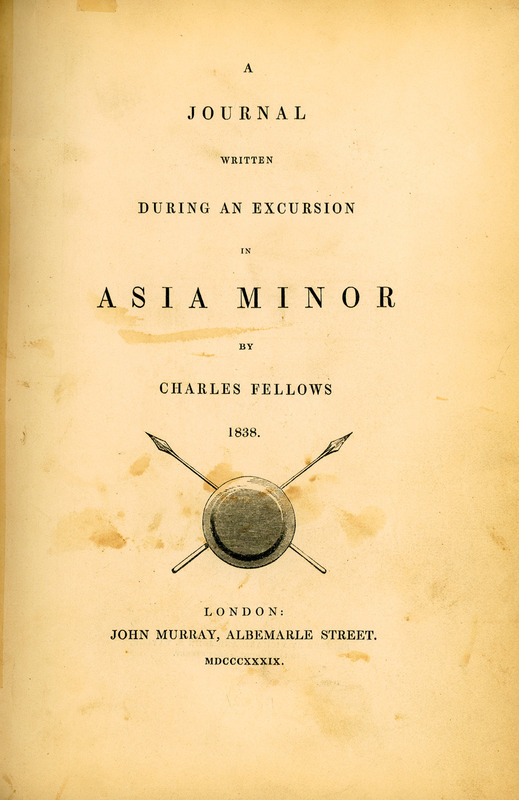 A journal written during an excursion in Asia Minor, London, John Murray, MDCCCXXXIX [=1839]. FELLOWS, Sir Charles. A Journal written during an Excursion in Asia Minor, London, John Murray, 1839.